We service all makes of printing and packaging machinery. Active's print engineers are factory-trained professionals, able to provide full on-site service around the clock. We offer assistance with installation, maintenance and repair of printing equipment as well as an emergency call-out service. 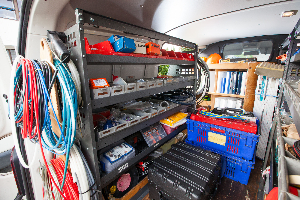 Our team have fully-equipped vehicles to support print operations across the North Island, backed up by a comprehensive engineering workshop at their Auckland base. They're also on-call to travel to the South Island, Australia, the Pacific Islands and Asia. 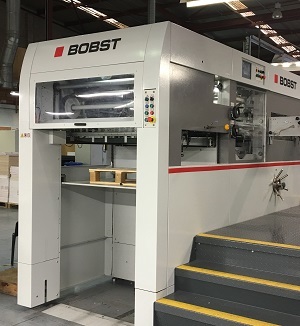 Active is the New Zealand service agent for Roland, Ferrostaal, Komori and KBA printing machines, and specialises in Bobst, Enco and Yoko die cutters. As well as having the equipment to do major repairs on-site, we've developed purpose-built tooling for specific jobs and are familiar with the maintenance and service cycles for all major print industry brands. Not only do we help repair your machines, we can also suggest a spare parts inventory and implement site-specific maintenance routines. Plant and machinery moves are also a big part of our business and we've been the movers of choice for more than two decades. Active will help manage the many complex aspects of moving heavy plant. Our experience means we can anticipate problems before they arise, saving time and money. Active Engineering's main clients include Forbes Packaging, BJ Ball, Orora and Webstar, and most of the major industry players in the country. Read more about how we have helped our customers. Our print services team members are experienced, factory trained, and very well respected in the industry. You can find out more about us by clicking on the team photo, or phone us to speak to a team member.